MITZVAH MONDAY: Flashback to late summer and Seth’s baseball-themed Bar Mitzvah. When planning a sports-themed Bar Mitzvah celebration, why not reserve the actual baseball field for your venue? Seth’s family booked minor league stadium Provident Bank Park, home of the Rockland Boulders, for Seth’s big day. His Mitzvah journey began with a pre-shoot at the stadium and on the Mitzvah day, our photographer Leo and our videographer, Vinny, met Seth and his family at Temple Beth El of Northern Westchester in Chappaqua for bimah and service coverage+ coverage of the afternoon luncheon. The celebration continued at Provident Bank Park for a night of games and partying with event planner Jennifer Kraft of Kraft Events. Mazel Tov, Seth! Jack’s Bar Mitzvah had a London Underground theme with the London subway system’s red, blue and white logo decorating the walls at ARENA here in the city, where Jack and his friends & family celebrated and danced the night away. Hollywood Pop Gallery helped to bring all the theme and decor details together. The day started at Temple Israel in Westport, CT where Jack become a Bar Mitzvah after reading his Torah and Haftorah portion. Mazel Tov, Jack! Henry’s Bar Mitzvah was a bowling blast! 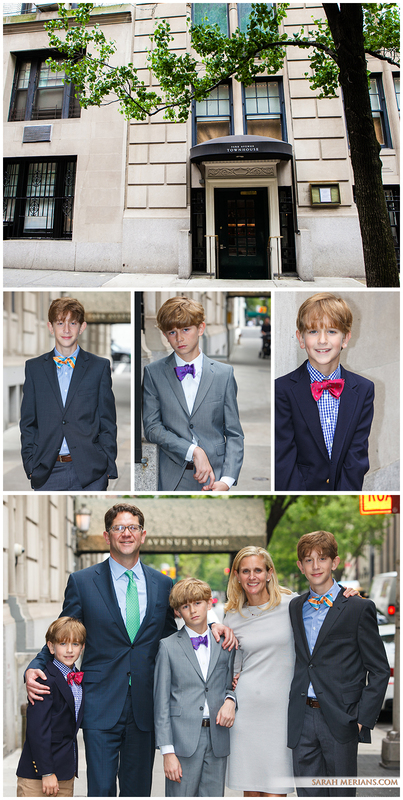 How adorable are boys Nathan, Henry and Zachary clad in their coordinating bowties? After a beautiful service at Central Synagogue, the party continued at Park Avenue Spring followed by a kids event at Bowlmor Lanes in Times Square! Mazel Tov to Henry and his family! 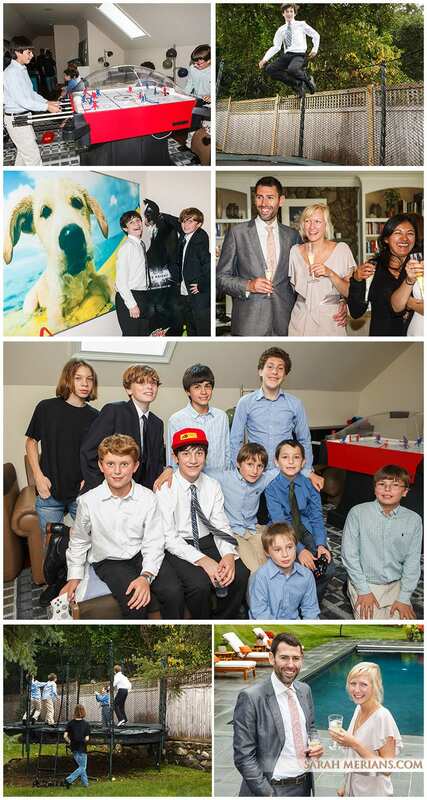 Jake’s Bar Mitzvah weekend was a blast! 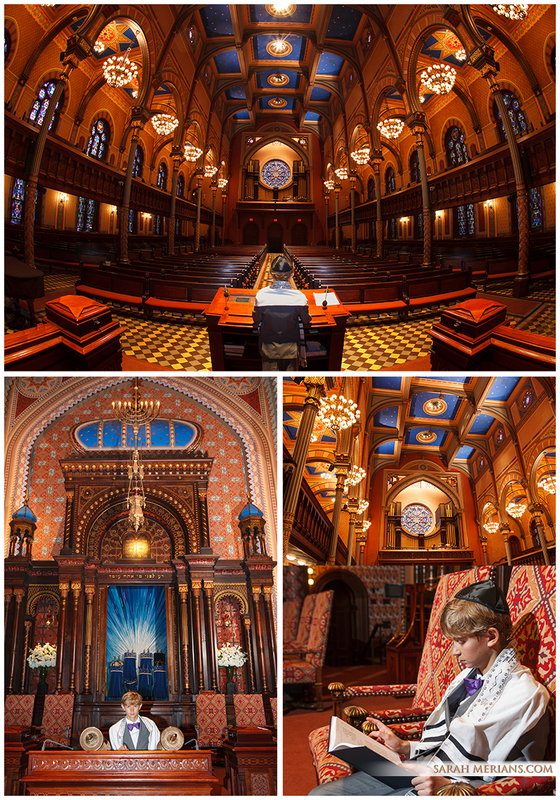 Before the Mitzvah day, Jake and his family met with Sarah Merians at Temple Israel of the City of New York to take photos of Jake on the bimah with the Torah. We then met up with this great family at 404 NYC, a club space on the west side of midtown Manhattan, for a green-themed Mitzvah bash. Mom, Dad, Jake and little sister Chloe all coordinated with accents of neon green in their waredrobe, including Mom’s awesome nail polish! It was great working with Shine Events and their incredible team who made this party rock. Mazel Tov, Jake! Mazel Tov, Jake on your Bar Mitzvah this weekend! Your neon green party at 404 NYC ROCKED on Saturday night! Sarah Merians had the opportunity to photograph Jake and his family here at our studio before the party. Stay tuned for more photos from 404 on the Bar Mitzvah day and at Temple Israel of the City of New York. Gotta love the beautiful stained glass windows and bright ornate columns at Central Synagogue on 55th Street in Manhattan. It is a beautiful synagogue! The Metropolitan Club and its gold ceilings set the stage for Charlie’s Bar Mitzvah reception. Bright green trees, designed by Belle Fleur, adorned the tables. It was almost as if you were in Central Park! Take a look at some great photos from the event below!